Dwayne "The Rock" Johnson has discussed his battle with depression. Mariah Carey recently revealed she has bipolar disorder. 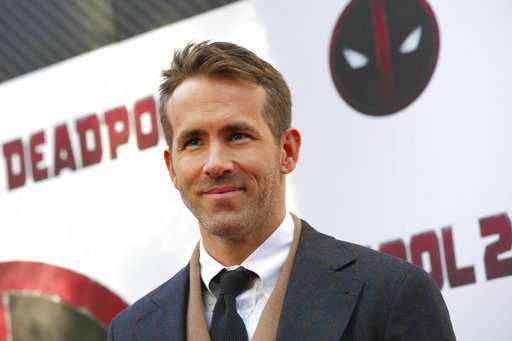 And "Deadpool" star Ryan Reynolds has acknowledged dealing with anxiety disorder. As the stigma surrounding mental illness has declined in recent years, so has the reluctance many have had to discuss their own mental health issues, including celebrities. It's become the new norm for stars to divulge vulnerabilities once kept closely guarded. "I think anybody talking about it will help de-stigmatize it over time, but I think in particular celebrities or sports celebrities, if they have a platform and they've gone through any kind of issue with mental health, it's good for them to share their stories, if they're comfortable with it," Johnson said in a recent interview. "For me as a guy, you know, I struggled a long time with not only my bouts of depression that I've had, but also things that have happened to me early on when I was a teenager, that colored me as an adult. But I struggled a long time just to express myself," he said. Reynolds echoed that sentiment at the Monday premiere of "Deadpool 2," where he explained to The Associated Press why he went public about having anxiety disorder. "Talking about it for me has helped in some ways," Reynolds said. "In this age of toxic masculinity, there's a lot of dudes out there that have a tendency to sort of bottle it up and keep it in, and think that they just sort of—they've got to be a tough guy and soldier on. But that's not necessarily true." Diane Hughes is a professor of Applied Psychology at New York University, specializing in adolescent development. She sees great value in celebrities and sports figures talking about their struggles, past and present. "I think there is a benefit to it because it helps de-stigmatize it and to normalize it a little bit," Hughes said. She added: "There's a lot of stigma attached to mental health issues, especially among teenagers because adolescents are constantly comparing themselves to their peers and are very self-conscious and worrying, (thus) creating a stigma to mental illness and help seeking." 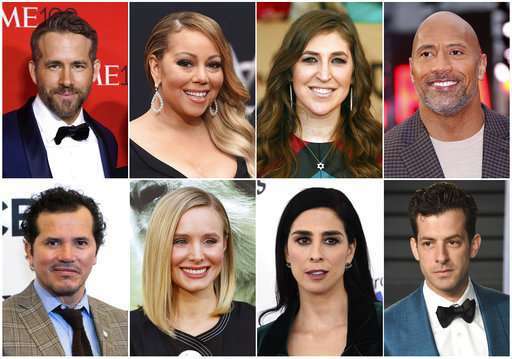 That's why the Child Mind Institute, which provides mental health services to children and families, enlisted the help of dozens of celebrities for its new campaign called #YourYoungerSelf for May, which is Mental Health Awareness Month. It asks celebrities what they would tell the younger version of themselves. "We know that when famous people basically stand up and say, 'I suffered and I got better,' it has a dramatic effect on all of us, but particularly on young people who are so susceptible to the imagery they see when people wear certain clothes or people like certain music," said CMI President Dr. Harold Koplewicz. Actress Mayim Bialik of "The Big Bang Theory" remembers feeling isolated when dealing with depression. She looks forward to seeing the shame around mental health issues fall away—and if talking about it publicly helps, she's willing to do it. "I'm not looking to vomit my entire life onto the internet," she said in a recent interview. "But I do feel it's very appropriate, especially for so many young people who feel alone, the way I felt alone, to talk about anxiety and obsessive-compulsive disorder and panic disorder and depression and all the other things that many of us deal with, you know, when we're teenagers and even when we're adults." Tony Award winner John Leguizamo agrees that famous people speaking out can help to de-stigmatize mental health issues, but it's also something that needs to be taught at home. "We have to have a little more compassion. First of all, it starts with how you talk to your kids about how to show compassion and empathy to anybody who is different than you or is experiencing any sort of difficulty," Leguizamo said. He added: "I think that's where it starts, then you have to have legislation to help them get the help they deserve."